Salvador Dalí Museum in St. Petersburg, Florida. 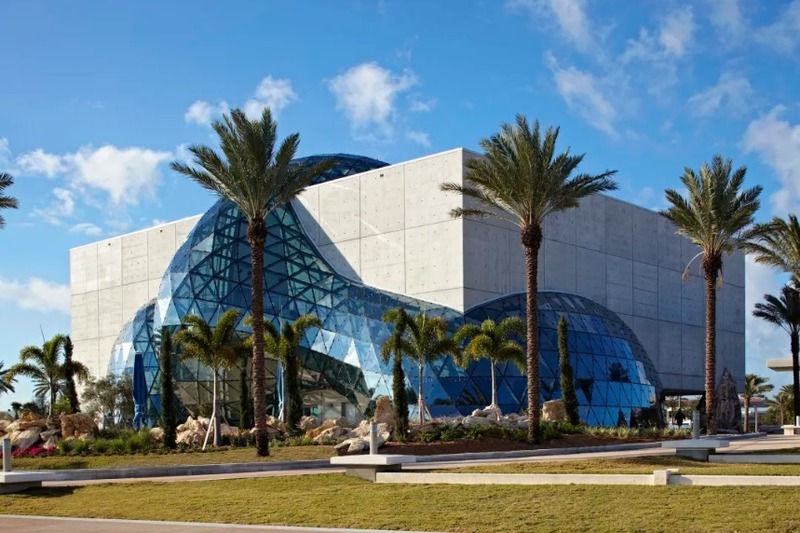 The Salvador Dalí Museum in St. Petersburg, Florida, has submitted an application to Pinellas County requesting $17.5 million in tax money for a major expansion that will increase the institution’s physical and digital footprint. The project is expected to take two years to complete and to cost a total of $38 million. According to the Tampa Bay Times, the museum is planning to build a new 150,000-square-foot garage that will increase the number of parking spaces from 130 to 400 and to add a 20,000-square-foot wing that will comprise event spaces and galleries for artificial intelligence and augmented reality exhibitions. The county will soon review the museum’s request, which proposes using funding from the county’s Tourist Development Tax, a 6 percent levy on accommodations for rent or lease. The institution estimates that it would need $30 million to cover the construction costs. After its founding in 1982, the museum underwent a major transformation in 2011 when it built its current home, a $36 million building that more than doubled the institution’s size and made it into an “epicenter of culture,” according to museum director Hank Hine. Among the exhibitions to be staged in the new wing are “Visual Magic: Dalí’s Masterworks in Augmented Reality” and “Dalí Lives,” an AI experience that would resurrect the Surrealist masterhe would appear on a series of screens throughout the museum and interact with visitorsby pulling millions of frames of content from footage of the artist and overlaying the images on an actor’s face.